Ever since Hill made the courageous decision to dedicate his life to helping others, his own painful coming-of-age experiences—homelessness, a damaged relationship with his father, hours spent contemplating suicide—have served as the basis for his positive message of healing and transformation. 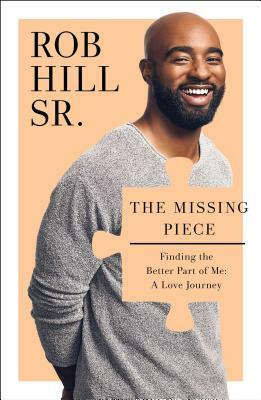 Whether you struggle with fostering healthy relationships, finding love, believing in yourself, overcoming the obstacles life tosses in your way, or any other number of conflicting human experiences, Hill’s perceptive, penetrating yet compassionate words will help you find your way. The Missing Piece is the captivating story of the man behind the powerful, uplifting message, part memoir and part roadmap to deep personal contentment and success.